Western philosophers have long grappled with the question, "What is the meaning of Life?" The very underlying ambitions of Eastern life, exemplified in the myriad of tales, legends and myths, reveals this answer plainly to the Eastern spiritualist. It is the age-old expedition from darkness to the light, from ignorance to understanding. It is the quest for Self-realization itself. This meaning and highest purpose of life is simply the return of the 'many to the One', the re-union of the jiva with Paramatman. Yet it is upon the stage of this eternal cosmic drama (lila) and under the spell of maya which this heroic voyage takes place. Beneath this veil from reality -- our forgetting of the unity of Brahman -- a sense of duality (dwaitam), a sense of separateness emerges. This is commonly referred to as the ego-self, the sense of a self that is unique and separate from others and the surrounding world. This is also often referred to as the "I conciousness" -- that persistent sense of 'me' or 'I' that we have come to have as a result of our perceiving the world around us as fragmented and differentiated. Inherent in this sense of separate self is fear, or bhayam. The UPANISHAD says, "Where there are two, there is fear." It is this primordial fear which arises from that very sense of a separate, unique self -- the lack of knowledge of unity and inherent 'one-ness' -- which is the root cause of all mankind's pain, conflicts and suffering. It is merely in the re-realization of the true state of Oneness that fear, and hence suffering, is abolished. This Self-realization, this 'reunion' is referred to variously in yoga as moksha, samadhi, kaivalya, or jivana mukta. 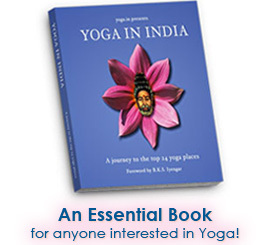 This realization is the true goal of yoga and is, by all Eastern philosophical and spiritual accounts, the true meaning and purpose of life. This process of the unfolding and expansion of the consciousness back to the ultimate state of Self-realization is the evolutionary process. The GARUDA PURANA states that the long evolutionary journey of the jiva to its re-union with Paramatman, or Universal Soul, takes 84 lakhs (8.4 million) incarnations. That is to say, it is the natural, unconscious destiny of the 'many' to return to the 'One', and to do so each jiva (soul) must experience a myriad of different physical forms of life before it achieves its ultimate evolutionary state, moksha, or the final freedom from physical form. 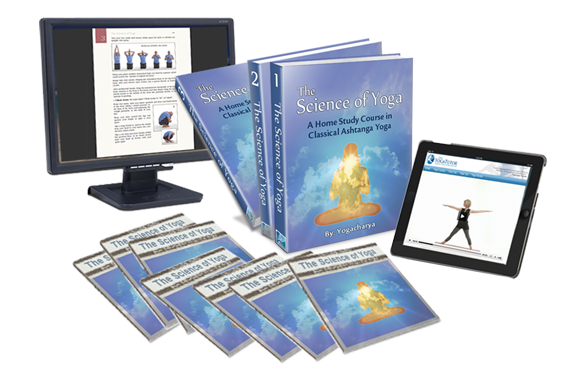 It is precisely this process that yoga endeavours to consciously accelerate -- hence, we refer to the science of yoga as the "science of conscious evolution."